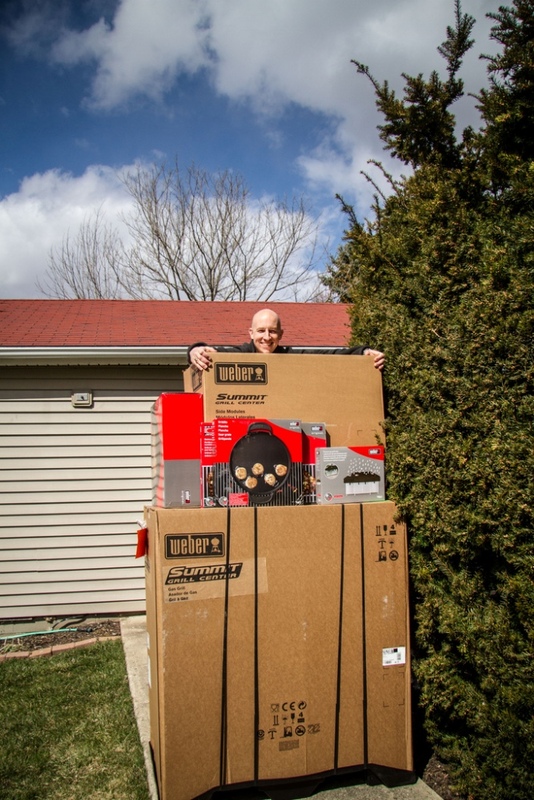 Love is a strong word when it comes to a grill, and in the case of my Weber Summit Grill Center, it’s not enough. It transcends love. If my wife hadn’t put her foot down, it would have been included in our last family picture. Yes, that kind of love. The most important feature of the Grill Center is its performance. Having 769 square inches of cooking area to place a steak is like trying to decide which spot your car gets in a huge empty parking lot. Along with the grill space, add in 6 stainless steel burners, 60,000 BTUs of heat, and a sear burner for high heat applications, and its easy to see the Grill Center provides both versatility and strength. No task is too small, no meal is too big. Believe it or not, one of my favorite cooking features isn’t under the hood, it’s right next door: the dual ring side burner. 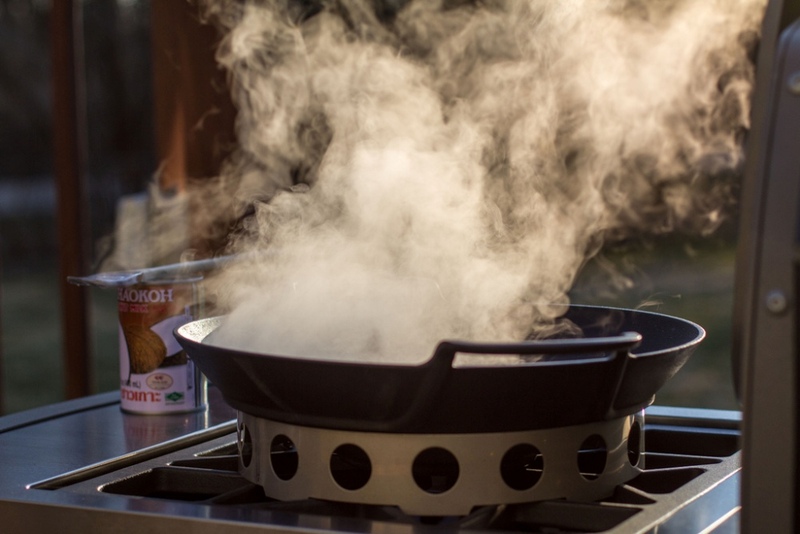 The 27,000 BTU burner is strong enough to give a vigorous boil for stews, or an easy simmer for sauce preparations. It allows me kitchen like control in the backyard, and I can’t live without it. In all my years of grilling, it is a side burner second to none. 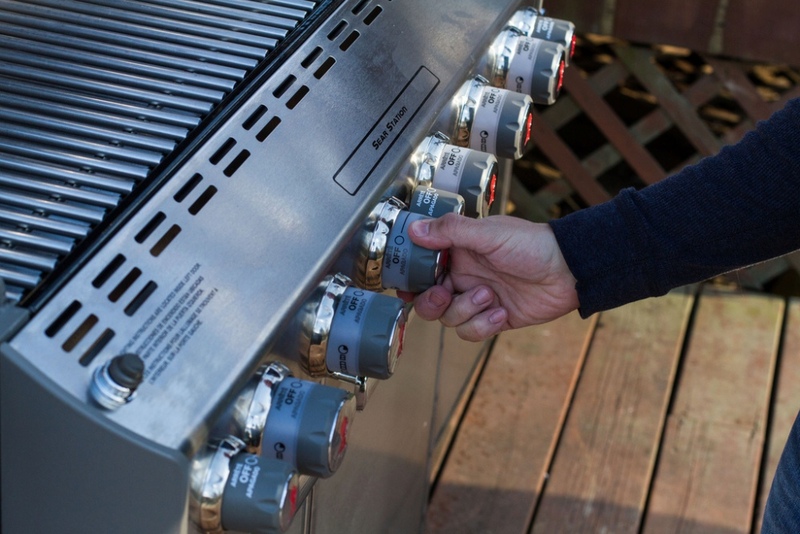 While the Grill Center’s performance speaks for itself, its stainless steel lines and cabinetry speak to everyone else. When I have friends over for entertaining, the Grill Center is always the hub of the conversation. Side work surfaces provide ample room for the staging of food, and cabinets below deck are great for storing accessories, dinnerware, and supplies. The cabinet doors also house one of my favorite tools: a paper towel holder. You have no idea how much that comes in handy. Whether I’m spinning a turkey on the rotisserie, grilling a dozen steaks on the grill, or firing up the wok on the side burner, the Grill Center does it all. It’s an awesome centerpiece for my family of kettles and helps take my kitchen where it belongs: outside.